This year, as the foremost international event of contemporary art for the county, Office of Contemporary Art and Culture, Ministry of Culture (OCAC) is now producing the First Thailand Biennale in Krabi. As a national initiative of contemporary art, the institution of this biennale is planned to choose different cities and sites in Thailand for each edition. 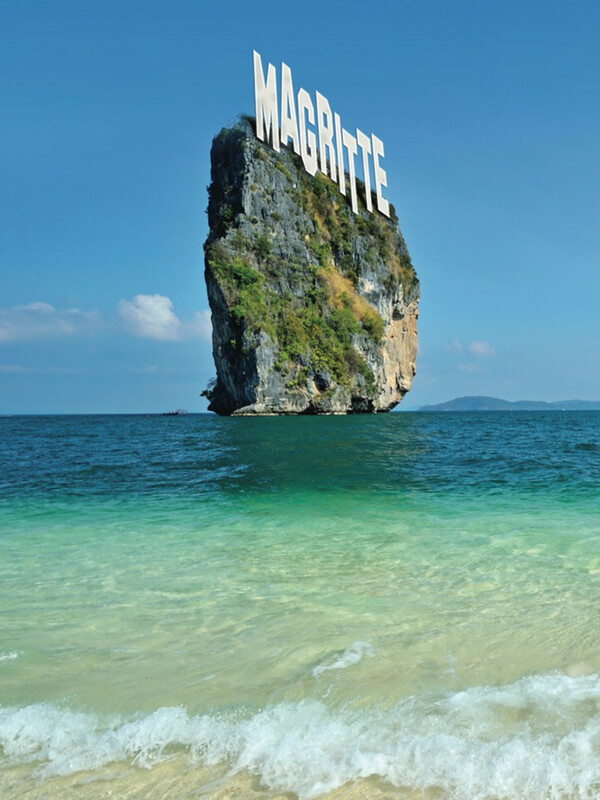 Unlike conventional art museum exhibitions, Thailand’s first Biennale will be staged outdoors on natural sites in Krabi with its majestic mountain ranges, beautiful beaches, stunning coasts, and hundreds of fertile islands, is truly the wonderland of the Andaman. This first edition of the Thailand Biennale is curated by UK-based curator, scholar and writer Jiang Jiehong. Under the theme of Edge of the Wonderland, more than 50 artists from 25 countries and areas are invited to respond the topic, collaborate with local communities, and to create new work for the natural sites and public spaces for the site-specificity and site-sustainability. It engenders a new way of thinking, provides opportunities for meetings between nature, art and everyday life, and encourages a creative journey, an adventure, to the wonderland. Alfredo and Isabel Aquilizan, Vladimir Arkhipov, Aram Bartholl, Lucy Beech, Félix Blume, A K Dolven, Saravudth Duangjampa, Ayşe Erkmen, Takafumi Fukusawa, Amber Ginsburg (Sara Black and Charlie Vinz), Rania Ho, Dusadee Huntrakul, Aki Inomata, Mella Jaarsma, Jiandyin, Valentina Karga, Bharti Kher, Yuree Kensaku, Ignas Kruglevičius, Alicja Kwade, Oliver Laric, Kamin Lertchaiprasert, Leung Chi Wo, Lu Pingyuan, Luxury Logico, Map Office, Mayrhofer-Ohata, Dane Mitchell, Vichoke Mukdamanee, Camille Norment, Donna Ong, Giuseppe Penone, Vong Phaophanit and Claire Oboussier, Chong Boon Pok, Benjamin Rivers and Anocha Suwichakornpong, Chemi Rosado-Seijo, Chusak Srikwan, Richard Streitmatter-Tran, Jedsada Tangtrakulwong, Kamol Tassananchalee, Luong Tran, Tu Wei-Cheng, Rikuo Ueda, Vertical Submarine, Panya Vijinthanasarn, Wang Sishun, Wang Wei, Wang Yuyang, Jana Winderen, Tori Wrånes, Yang Zhenzhong, Zhang Peili, Zhao Zhao and Zheng Bo.